The Musical Arts Society of New Orleans will feature Israeli pianist Inon Barnatan at its Noctorne XIV annual gala and concert this month. Established in 1980, MASNO supports music education, provides mentorships and manages the New Orleans International Piano Competition, as well as bringing top classical artists to area stages. Barnatan is one of the world’s most in-demand keyboard artists. He has performed with many important orchestras, including those of Cleveland, Los Angeles, New York, Philadelphia and San Francisco. Awarded the prestigious Avery Fisher Career Grant in 2009, he is now in his third and final season as the New York Philharmonic’s first Artist in Association. 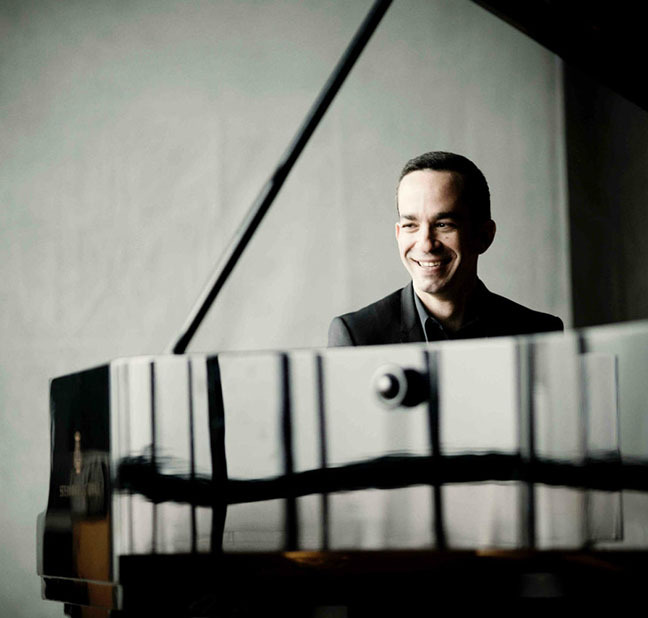 Born in Tel Aviv in 1979, Barnatan started playing the piano at the age of three after his parents discovered he had perfect pitch, and he made his orchestral debut at 11. In 1997 he moved to London to study at the Royal Academy of Music and currently lives in a converted warehouse in Harlem. The Nov. 20 gala will be at the Ritz-Carlton New Orleans with a festive champagne reception at 5 p.m., an intimate performance by Barnatan at 6 p.m., followed by a multi-course gourmet dinner. Patron level tickets include preferred seating during the recital and a private reception with Barnatan after the dinner. Tickets, which are available here, are $200, with patron tickets at $500. Half-tables are $1,000 and full tables of 10 are $2,000. Many donors purchase tickets for area musicians and music students, and sponsorships are available. In addition to Nocturne and the piano competition, MASNO events include the New Orleans Piano Institute and Keyboard Festival, Concerto Showcase in collaboration with the Louisiana Philharmonic Orchestra, Salon Concerts, and MASNO Artist Masterclasses and Lecture Performances at area schools. Thousands of Louisiana students and concertgoers have attended MASNO events over the past 36 years. Nocturne XIV is sponsored by the Arts Council of New Orleans, Hall Piano Company, Mignon Faget, Steinway and Sons, 89.9 WWNO and The Ritz-Carlton, New Orleans.